The use of the touchscreen was the most relevant aspect for getting me into the iOS world. I play synthesizers since 1983 and even so alternate continuous controllers, ribbons, etc. (I love my Theremin as well ) are fun to play with, the touchscreen is a whole new ball game! It allows for articulations impossible to achieve on a normal keyboard or controller. I was amazed when I saw the polyphonic pitch bends and aftertouch in MorphWiz and Animoog, and got even more excited when I bought TC-11 with its ultra flexible control assignments. I would like to see devs paying more attention to this aspect. Konkreet Performer have the same features but for control external synths, any movement can assign a CC value. TC-11 is now on my watch for a sale list. Strange, I never was impressed with it. It looked more like a ambient sound generator, rather than something I could use to put a tune together with. 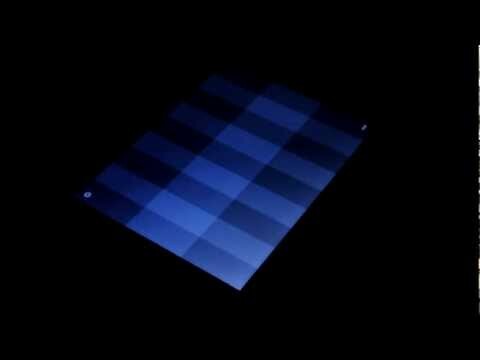 Is there a way to get actual notes out of it (instead of theramin-like sounds) within the app itself, rather than having to resort to outside midi controller apps? I would love more apps like TC-11. It suits my writings needs very well, but more than that it's geared well to performance. Just improvising with it feels like a dramatic performance if you get something good dialed in. I find it an exciting and inspiring app. Bit Shape's other apps seem the same way, though I haven't tried them yet. @FRibeiro Holy crap, that was really awesome !! I never could get tc11 sound so melodic and in time!! I know it's deep and needs some investment in time to noodle around with it. It really is an amazing app and has endless possibilities but does take some synth/music programming knowledge. It's interface is awesome and very flexible, almost every parameter can be assigned to a control like distance from first touch and crazy stuff like that, and if I recall it has a really good sequencer (not like most sequencers). It's definitely worth the price and I really hope development continues. That all being said, I think people get easily overwhelmed with it, either by the amount of options, some terminology/routing or lack of understanding. It's easy to share presets with it and I wish more people would/did, I've found some here and there online but not much. @TCM & FRibeiro Thanks, I see that in the right hands and with the right knowledge, it can be done and done well. ...and speaking of done well, FRibeiro, you are very talented! That sounded great! You make it look easy, though I know it would be difficult for me. Great Job! I would have had more interest in this synth a long, long time ago if I had seen these videos when I first checked out this synth! :-) Thanks guys! this "work in progress" looks exciting! TC-Data virtual MIDI controller! It would mostly def serve as a great midi controller...excited! @FRibeiro - awesome work! I can't get the sequencer to behave that well yet. I can create the two tutorial patches, but when I try to do my own I fail miserably for some reason :P But it's an app that rewards perseverence, so I'll get there. What ppl do can change what ppl do. Thank you all for you comments!!! This performance has turned into a song and we're recording it for our next album, with vocals and everything. Like I said on the "Poly" post here - When I buy a new app, it has to inspire me and turn itself into a new song. Then I would think it was money well spent. TC-11 is one of those rare apps. It's cheap for what it does. Actually, TC-11 is a "conventional" subtractive synthesizer hidden under an alien interface. It's very flexible, but not that difficult to understand if you know the basics of analog synthesizers. The problem is to get familiar with the tons of modulation routings to the touchscreen, and tweak them to get what you want them to do. The patch in the video is actually a preset called Stomp Box, slightly tweaked. I've changed the notes on the sequencer, and set delay, filter and LFO parameters and touch controls... Almost every parameter on TC-11 can be assigned to different gestures on the screen! The sequencer is the trick to get melodic lines out of this synth. Instead of letting it run by itself, each note is triggered by different positions on the screen grid. Notes are set by MIDI Note Numbers. Then you can program this huge amount of modulation possibilities to the various gestures. For example, that patch uses distance from the first touch to control LFO speed and Filter Cutoff among other things like FM. The patches are always "alive" under your fingers! Talking about the sequencer, I've programmed "On The Run" by Pink Floyd and it is so much fun to control assorted modulations with the accelerometer, etc... It's the most fun synth I've ever played! I need to spend some more time with it. I think it was a review I was reading about it one time or video, anyway it talked about the sequencers and how its a little different than your everyday sequencer but meaning its better, just takes some getting use to. 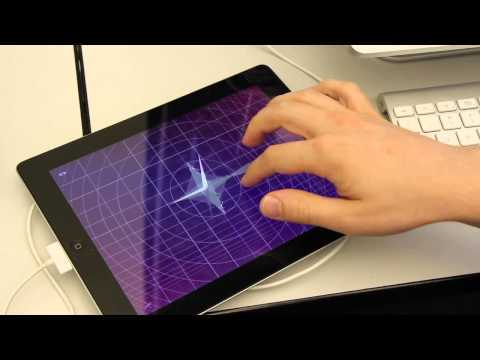 Gestrument is a great app, with some cool features and nice sounds. More presets for Gestrument can be downloaded on their website and opened directly into Gestrument. Are you trying to make me buy it NOW? I think you already did. Lol. Just a matter of signing into the store. Eyeballjackson - Can the TC 11 work as a midi data controller or is that a new app by the developer?